If your hair turns blonde every time you "power up," then you might be interested in knowing that Dragon Ball Xenoverse 2 is hitting Steam tomorrow. The follow-up to the 2015 fighting/role-playing/"MMO-lite" title now allows up to six players to team up online to tackle some of the toughest foes in the Dragon Ball universe. This title slipped under our radar for the longest time, so apologies on just now getting the word out. Much like the first game, Dragon Ball Xenoverse 2 will let you create your own fighter to do battle against the familiar foes of the anime/manga and earn gear, power ups, cosmetic items, and all sorts of other goodies to make your custom fighter look like a cross between a bull and a space marine. The biggest change, on the co-op side at least, is that the specific team-based challenge missions now support up to six players. 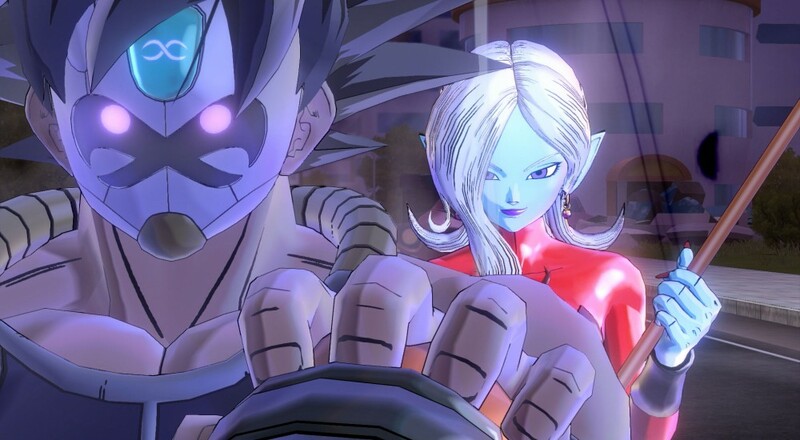 Dragon Ball Xenoverse 2 is out now for the Xbox One and PlayStation 4, and will arrive on the PC tomorrow. Page created in 0.9876 seconds.